Trying to install DD-WRT on some devices will brick your router. To save you from shutting down your home network we’ve compiled a list of blazing fast routers that can easily handle DD-WRT. In the modern digital age, more and more of our electronic entertainment is streamed to multiple devices within our home. Gaming consoles, like Xbox and PlayStation, are moving almost exclusively to online gaming platforms. As consumers continue to move away from cable television and flock to streaming services like Netflix and Hulu, the amount of consumed bandwidth continues to rise. To meet the increasing demands of high-speed downloads; routers need the ability to handle more traffic delivered to more users per household than ever before. Of course, as digital usage increases so do the need for security to protect your household network and the data that traverses it. This is where routers with DD-WRT are stepping up to meet the needs of the modern digital consumer. To help you navigate this complex world of digital streaming, open source software and Virtual Personal Networks (VPNs), we compile a list of the 5 best routers for DD-WRT along with all the information you need to get the most out of your home’s digital experience. Before we get too deep into which router is best for you, let’s make sure we have a clear understanding of what DD-WRT is and how it can take your router’s capabilities to the next level. While the number one reason for installing DD-WRT is to expand the capability of your existing consumer grade router, there is more to this open source software solution than meets the eye. In the early days of the home network, consumers would run to their local electronics store, buy a router, take it home and plug it in. 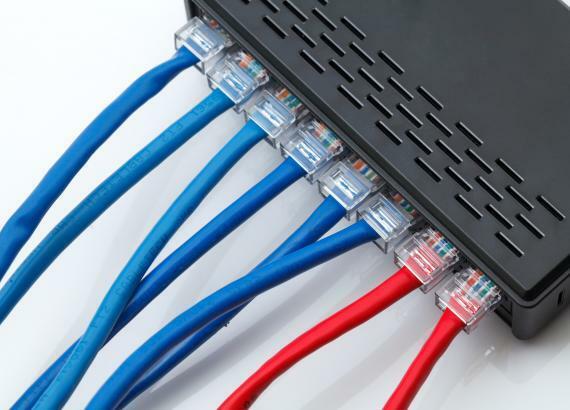 A few configuration steps later and all of their wired or wireless devices could connect to the Internet. In these days, home networks were primarily for the purposes of connecting desktop or laptop computers. As the content on the World Wide Web continues to grow, so did the need for increased bandwidth. 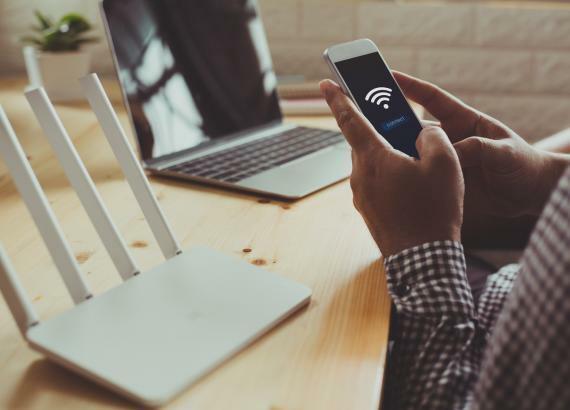 Add to this equation the endless list of Internet-enabled devices such as Smart TVs, Tablets and Smartphones and the capabilities of the home network were quickly pushed to the limit. Companies that are in the business of making routers have traditionally produced two different grades of the technology. There are your basic routing capabilities for use by traditional consumers in their home network. These were designed to be easy to operate and made available at affordable prices. The more advanced technologies were produced with the business consumer in mind. This included significantly increased bandwidth and security features that could be sold at a premium price. These companies were not financially incentivized to make this advanced technology available to the average consumer. This is where the open source gurus come into play with DD-WRT to bring these capabilities to your home. Created as an open source firmware project, DD-WRT is designed to bring maximum technological capabilities to the standard home router. The platform is Linux-based and is compatible with a wide range of WLAN solutions. The benefits include advanced wireless router stability, improved privacy and increased network security. What Else can DD-WRT Do? In addition to increasing the speed of your home network, this firmware can give you complete control over your home network. You will have the ability to monitor your home network, boost your Wi-Fi performance and even run your own VPN at home. With all of these wonderful benefits, you might be wondering why everybody isn't using this free firmware. The short answer is that there are risks if you are not careful. If not properly installed, you can "brick" your router, which means you make it completely inoperable and it, therefore, you might as well use it as a brick. You can also make your router unstable and potentially void your warranty. So make sure to do your research if you intend to make the leap to DD-WRT. Of course, you will want to make sure you are using the latest STABLE version of the firmware that is IPv6 compatible. DD-WRT is based on OpenWRT which is the Linux-kernel based firmware upon which many other open source solutions are founded. While OpenWRT is very powerful and supports more devices, DD-WRT is easier to use and manage. In comparison to Tomato Firmware, which is perhaps the easiest to use and manage, it supports significantly more devices. Using the Goldilocks and the Three Bears analogy, DD-WRT is “just right” compared to the other two options. Installing DD-WRT is similar to installing any software program on your computer. In this case, you are installing firmware onto your router. This technique is known as flashing. Again, we want to caution you to research the best method for installation on your particular model of modem. Improper flashing of your router can lead to bricking and the need to purchase a new router. 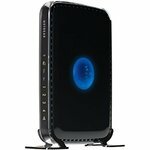 For the best information on how to flash DD-WRT to your router, as well as a complete list of compatible routers and ISP modems, you should visit www.dd-wrt.com. Once installed, you can begin to take full advantage of all that DD-WRT has to offer. If you are a gamer, DD-WRT might be considered essential if you want to compete at the highest levels. Not only will you get faster performance that is capable of handling the most advanced graphics and game logic but you will also experience a more stable gaming experience. Nothing is more disheartening than getting dropped from an intense online match or being defeated simply because of your slow, jittery connection. Another benefit of enabling DD-WRT on your router is the ability to set up your own Virtual Private Network (VPN). With your VPN, you can protect every device on your home network, take advantage of geo-spoofing, and connect an unlimited number of devices to your VPN because your ISP only recognizes the VPN as a single connection. Perhaps the coolest benefit of your VPN is the ability to remotely access your home computer. Now you can get access to files on that computer from anywhere which truly gives you the ultimate control of your home network. Now that we have a better understanding of what DD-WRT can do for your router, let's take a look at 5 of the best routers for use with DD-WRT. If going with a VPN is at the top of your wish list then the ExpressVPN router from Linksys could be the solution that you are looking for. Boasting a 1.8GHz dual-core processor, this feature-rich router offers blazing fast speeds and a wealth of customizable options. The WRT3200ACM router comes pre-flashed with a custom OpenWRT firmware from ExpressVPN. This will help you to avoid the dreaded bricking risk that comes with attempting to load DD-WRT on your own router. In addition to making the setup of your VPN super easy, this firmware package has split tunneling. This feature allows you to place some of your devices on your VPN while leaving others to access the Internet outside of the VPN. The custom OpenWRT solution will also eliminate DNS or WebRTC leaks. It also has a built-in firewall that acts as a kill switch to protect your home network. Other features of the ExpressVPN OpenWRT software include being able to turn your router into a web server, creating and managing hotspots, analyze network traffic, and detect network intrusion for added security. The many features really allow you to maximize the potential of the router and your VPN. Linksys has also incorporated MU-MIMO technology. If you are not already aware, MIMO stands for Multi Input Multi Output. When you place another MU on the front you then get Multi-User MIMO as opposed to Single User, or SU. This fancy acronym simply means that this router is capable of simultaneously handling multiple input and output channels for multiple users on multiple devices. This will allow you to get the same Wi-Fi fast speeds on multiple devices at the same time. Looking under the hood of this router, you will notice that the 1.8GHz dual-core processor is accompanied by 256MB Flash and 512MB of RAM memory. When you combine all of this together, this router can provide increased data transfer speeds that will allow you to do more cool stuff at a faster pace. Whether you are playing games, streaming 4k digital media or just doing your own thing, the Linksys WRT3200ACM lets you cruise along at light speed. Managing this device can be done easily while at home, but another cool feature is the ability to manage it remotely via a new and improved Smart Wi-Fi App. With the app, you can monitor network performance and manage your Wi-Fi all from your smartphone or another device from wherever you are. Another exciting feature of this router is its use of Tri-Stream 160 technology. While keeping up with the terminology on these routers might be tough, the use of this technology makes keeping up with its speed even more challenging. As the name implies, Tri Stream allows the router to use three streams each at 160 MHz. The combined power of these three streams results in an impressive 2.6 Gbps. Yes, that's 2.6 Gigabits and it is blazingly fast. Linksys has been in the network technology business for a long time and their track record speaks for itself. Their history of quality and technological advancements make the WRT3200ACM a formidable player in the DD-WRT router space. If you are new to home networking and are looking for a solid entry-level router to try your DD-WRT experiment on then the Buffalo AirStation is an excellent choice. Priced well below the others, it offers solid performance and features at a price that won’t make you feel so bad if you end up “bricking” it. The good news though is that this model comes pre-loaded with DD-WRT and is an open source router right out of the box. Ideal for homes and small offices, the Buffalo is capable of providing Wireless N networking with ample speed and coverage. The AirStation is capable of speeds of up to 300Mbps. 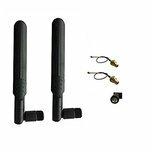 Buffalo utilizes its HighPower technology to amplify the signal strength and boost the range of your wireless network. This is accomplished through the use of optimized antennas and onboard power amplifiers. This router also has a number of security features that might surprise you given its lower price point. It has multi-level wireless encryption options that work to avoid unauthorized access to protect your data from potential hackers. There is a one button feature that lets you create and maintain a secure wireless connection between your devices. Referred to as the AirStation One-touch Secure System (AOSS), this automated process will set up this security in five simple steps that all take place behind the scenes. This is an excellent feature for the novice user. The Buffalo router is fully backward compatible with previous 802.11x wireless standards. It also has bridging capabilities that allow it to be used as a network extender. With the lower price of these routers, you can easily purchase two or more AirStation HighPower N300s and extend the range of your wireless network while maintaining the fast 300 Mbps speeds. Setup is fairly simple with the intuitive interface that is included. Along with the pre-installed DD-WRT, you can use it to customize advanced features that will optimize your network speeds, set up security and manage routing options. You will also have access to some advanced capabilities such as OpenVPN, hot spot sign-in, VLAN, Telnet, and DNS caching. As a company, Buffalo first entered the wireless networking market back in 1999. Their company origins actually date back to 1975 as an audio equipment manufacturer. The company and its products have transformed over time but their commitment to technological innovation has been a mainstay. They actually shipped the first Draft 11g and 11ac wireless technologies as well as the first RAID NAS appliance. This router from Buffalo is certainly not the performance powerhouse that some of the other models listed are. Their strength truly lies in attempting to maximize bang for the buck. You get adequate 300Mbps speeds with built-in DD-WRT technology in a lower priced model. This router is worth a look for smaller applications and novice users. The first thing you’ll notice about this router from Asus that it looks like a spider laying on its back. This is because of the 8, yes 8, antennas that are on the perimeter of this device. This is just part of what makes this router perhaps the coolest looking home network device ever created. It does look like something out of the latest Star Wars movie. In addition to its space age appearance, this router has next-generation capabilities to go along with its cool looks. It features three bands of extremely fast speeds that add up to a lightning fast 5300 Mbps. The three individual bands have 1000, 2165 and 2165 Mbps each. This makes the Asus RT-AC5300 one of, if not the, fastest routers available. Getting back to the 8 antennas mentioned before, you will get four of them that are devoted to transmitting while the other four are dedicated to receiving. You can easily connect 10 or more devices to this router and experience exceptional performance on every one of them. To make things simple for you, the Asus RT-AC5300 comes with DD-WRT firmware already installed. Not only does this save you a step in getting the full benefit of this firmware it also eliminates the risk of you turning your new router into a brick. This is definitely a good thing considering this Asus router is not the least expensive model on our list. From a pure specification standpoint, this router is compatible with all operating systems, including Windows, Mac OS, and Linux. It also comes with the latest 802.11 ac technology. The processor is a 1.4GHz Broadcom Processor that delivers top-end performance. With ASUS Smart Connect, this router is capable of dynamically switching your devices between 2.4 and 5 GHz bands. This helps to maintain consistency of bandwidth across your gaming platforms and 4k streaming devices. Speaking of gaming, this Asus router comes with built-in access to the WTFast Gamers Private Network (GPN). They offer servers that whose routes are optimized to give stable playing conditions while providing optimal speed and performance. Even the most diehard of gamers would be hard-pressed to exhaust the capabilities of this Asus router. Network security, even for home wireless networks, continues to be a major issue for today’s online consumers. Hackers and cybercriminals continue to look for new and exciting ways to get access to your data. The Asus RT-AC5300 comes with Trend Micro’s AiProtection to protect your sensitive data. It can also scan your network and provide vulnerability detection to help you better lock down your home wireless network from data predators. When it comes to quality products, Asus is consistently at or near the top. They have been recognized as an industry leader in Customer Satisfaction when it comes to their wireless routers. The combination of product quality and technical capabilities makes this Asus router a top choice for DD-WRT enabled routers. The Nighthawk series from NETGEAR has established itself as one of the more reliable, multi-purpose routers available. While the AC1900 model is not nearly as powerful as the first two routers on our list, it is more than capable of handling the workload of the modern digital household. It features ample processing power from its dual-core 1GHz processor. It also has 128 MB of Flash memory and 256 MB of RAM. All of this horsepower results in top transfer speeds of 600 Mbps at 2.4GHz and 1300 Mbps at 5GHz. This router comes pre-loaded with stock firmware making it the first model on our list that will require you to flash DD-WRT onto it. This shouldn't deter you from considering this router as a viable option though. The installation is fairly intuitive and the Nighthawk is a supported model on the DD-WRT website. Just make sure to take your time and follow the instructions to unleash the power of this NETGEAR router. If you have younger members of your household that are frequently on the Internet then you will enjoy the parental controls feature available with the Nighthawk. Teaming up with Disney, NETGEAR has made the Circle application with its routers so that you can manage content available to your family as well as the time they are allowed online. You have the ability to control this by an individual user or by a specific device. You can keep your young children from accessing any device after bedtime or just lock down certain devices that they may want to use after hours such as gaming consoles. Speaking of gaming, the NETGEAR Nighthawk is a strong choice for a router to take your online gaming to the next level. The combination of the powerful 1GHz processor and the upstream dynamic QoS will make gaming on your Xbox or other gaming consoles an uninterrupted pleasure. By prioritizing content to the gaming console, your online adventures will no longer be slowed down by other devices on the network. The router also utilizes Beamforming+ along with its 3 external antennas to send targeted Wi-Fi to your devices that can improve your mobile speeds by as much as 100%. With its available USB 2.0 and 3.0 ports, you can connect your hard drive directly to your Nighthawk and back up files and precious photos from any device on your network. With the ReadyCLOUD app, you can access these files or photos from anywhere. This gives you your very own simple yet secure cloud storage through your Nighthawk and a connected USB hard drive. Linksys makes its second appearance on our list with a mid-range WRT1900ACS model with DD-WRT capabilities. With four antennas and a professional grade 1.2 GHz dual-core processor, this younger sibling of the WRT3200 model packs plenty of power in its own right. It is more than capable of handling multiple users and multiple devices within your household. The four antennas work together to give optimal coverage of your homes square footage with the maximum possible signal strength at all times. The router utilizes dual band coverage for 2.4GHz and 5 GHz which takes care of dead spots and avoids spotty coverage areas within your home’s network. The dual wireless bands can also deliver a lightning fast 1.3 Gbps along with a high-power amplifier that helps transmit the signal in multi-story homes. Compared to the WRT3200, this model features a more attractive price point although it does not have the same level of performance. Still, it offers plenty of power and performance along with the normal Linksys commitment to quality. The world of wireless routers has certainly come a long way since the first home networks appeared on the scene. The world is moving to a steady flow of streamed digital content for all its entertainment needs and this list of 5 wireless routers has stepped up to more than prove their worth. Any of these routers can meet the needs of most digital families. However, there can be only one winner and for our money, the ExpressVPN Linksys WRT3200ACM takes the prize. The primary differentiator is the built-in VPN capabilities. While most home network users may not yet be ready to take the VPN plunge, that era is just around the corner and we recommend you greet it with open arms and your ExpressVPN router. The out of the box tools and capabilities can have even an inexperienced home networker living the VPN dream in no time. Another significant factor that pushed this router over the top is its enormous 1.8GHz dual-core processor. The modern digital household will have a number of high-end applications battling for network bandwidth. Streaming of online movies and shows through your favorite provider will look so much better in 4k. But nobody wants to watch shows buffering because Junior is playing Fortnite in the other room with his online friends. The gamer in all of us wants to reign victorious thanks to fully responsive and continuous playing experiences that are not interrupted by someone downloading lower priority digital content. Last but not least, the Linksys Tri-Stream 160 technology is a big advantage for the WRT3200ACM. Just the thought of getting 2.6Gbps of throughput is just too spectacular to ignore. There was time not too long ago when the thought of such speeds was a pipe dream for major technology companies. Now that powerful capability can be setup and installed within your home in short order through the use of an intuitive app and the ExpressVPN firmware. The competition was tough and there a number of contenders to consider in this race to make home networking the space age experience that we have all been dreaming about since we were kids. By choosing one of these 5 best routers for DD-WRT you can take your house into the future with relative ease and blazing fast speeds.